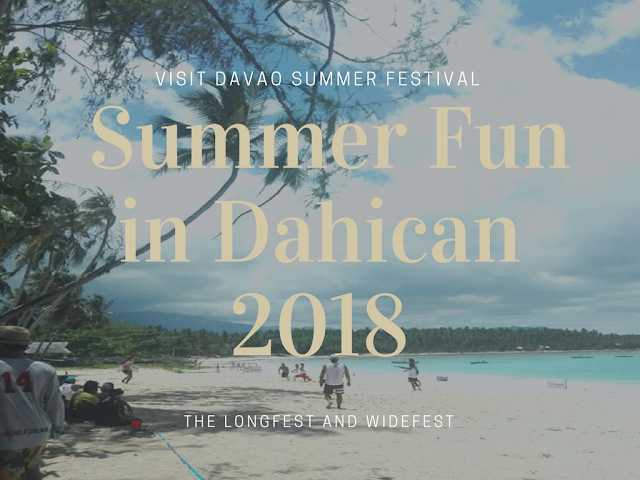 Visit Davao Summer Festival continue its #longfest #widefest summer festival across Davao City. This year, it plans to participate in a record number of Davao Region - Davao del Sur, COMVAL, IGACOS (Island Garden City of Samal), Davao del Norte, Davao Occidental, and the unique scenic coastline of Dahican, Mati City, Davao Oriental. #VDSF (Visit Davao Summer Festival) is also reporting growing interest in its diverse and customizable tours that span from islands to highlands surrounding Davao's Region defining leisure vacation and experience exciting island hopping to nature tripping and extreme outdoor activities. Davao emerges as SPORTS tourism hub, and as part of that VDSF and partnership with the Local Government Unit(LGU) of Mati City and Department of Tourism(DOT) Davao Region launches "Summer Fun in Dahican 2018" and these include the 2nd AMIHAN National Skimboarding Competition and Bonamine Ultimate Frisbee Tournament attended by participants coming from Davao Region and as far as Visayas and Manila, last April 27-29. Congratulation to all the WINNERS!! !